This tour has been designed specifically for those in wheelchairs. You can enjoy the wonders of this wonderful building and with skip-the-line access there is no queuing. With your local guide, visit the Sistine Chapel, the Vatican Museums, and other famous sites. See some of the most precious artwork in the world as your guide shares the history and stories of these locations. On this private tour, you will travel at your own pace, plus you can stop in some of the small rooms of the museum since you won't be with a large group. On this wheelchair-friendly tour you meet with your guide in Vatican City. With skip-the-line tickets there is no waiting in queues and you gain immediate access. Headphones are provided so that as you pass through the various rooms and galleries you can clearly hear the commentary as the guide tells you about the many famous works that are housed in this magnificent building. The tour proper begins in the famous Pigna Courtyard and as we cross this you head into the Pio Cristiano Museum to the Gallery of Tapestries and the Gallery of Geographic Maps where some of the world’s most noteworthy Renaissance maps are housed. Next is a visit to see some of Raphael’s greatest works. 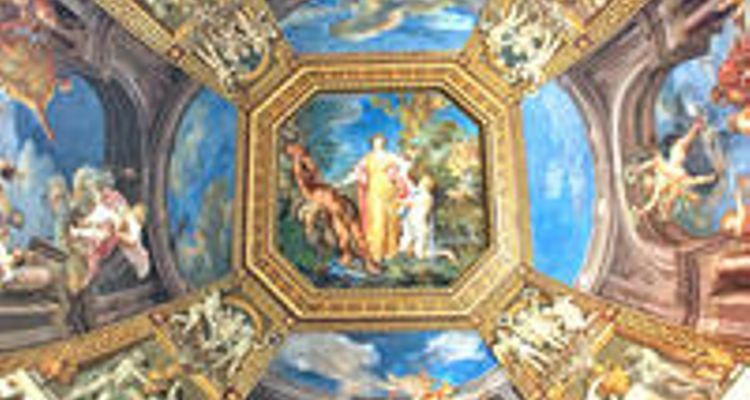 Commissioned by Pope Julius II in the early 1500’s these magnificent rooms were painted by the young Raphael. Of course, no visit to the Vatican is complete without a visit to the Sistine Chapel. As talking is prohibited inside the chapel your guide will tell what to look for once inside the chapel.